Some years, you look back and you don't think you did much, even if you did. Other years, they're the years that will mark your future forever, and you know it even now. I had one of the latter sort, not the former. Lots of big changes happened this year, and they were all good changes. I look behind, and I look ahead. 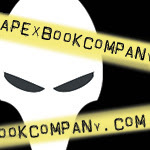 Behind: As holidays wind through, and gift cards roll in, I urge you to consider purchasing one of my books. In particular, LAST DRAGON remains, selling here and there, and being talked about for the four years it has been in print. The Audio Book arrived from Audible this year, and I am very excited to see the first audio edition of my work. Collecting completionists might be interested in a Polish edition, my first, of NEVER KNEW ANOTHER. They put out a beautiful product, and I can only assume the translation is good because the Polish reviews are good (that I can tell via Google Translate's grumpy, stuttery translation device). 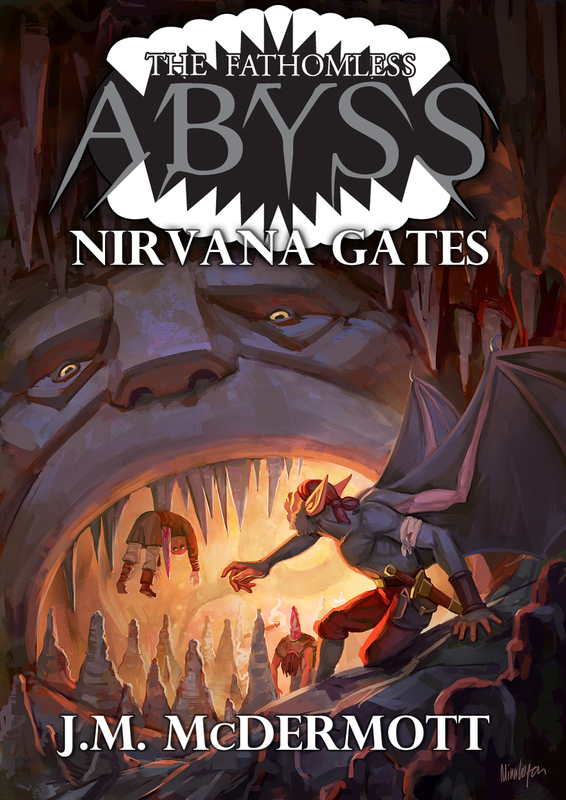 Also out in the world, my first major shared world project, NIRVANA GATES, with the amazing cover art of Mats Minhagan, and the gentle editorial guidance of Phil Athans, the Fathomless Abyss falls down and down, and then down some more. I write high fantasy monsters and creatures, there, and enjoy the work of my peers therein, with Cat Rambo and Phil Athans both the proud writers of other Novellas and more to come, soon. So, on top of all the usual book-related noise and announcements, these were big steps, for me. First big audio book, first foreign translation? 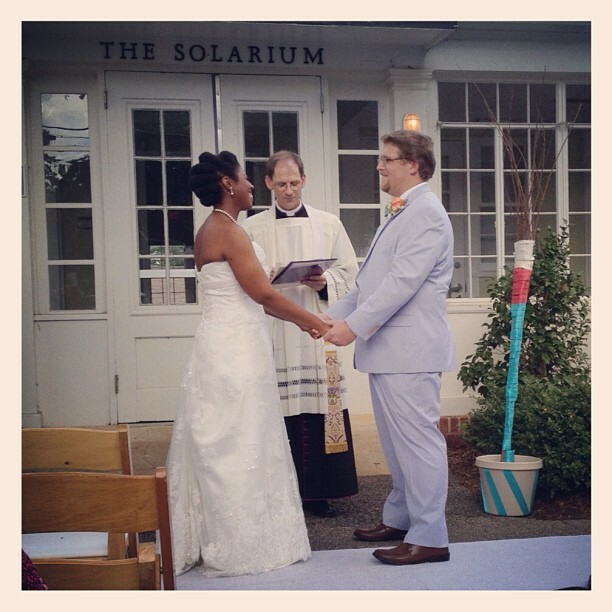 (Not quite as big a deal as my wedding last September, but not bad.) 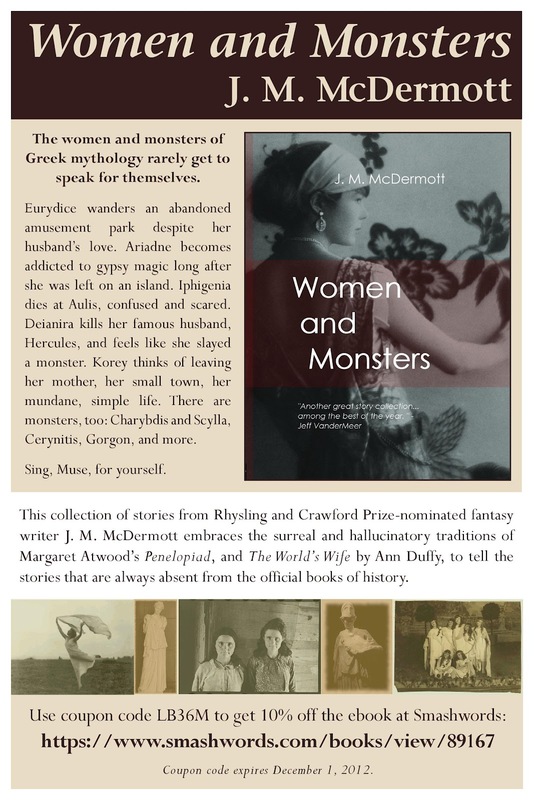 Women and Monsters is still out there, stepping forward, ever forward. The unexpected return to the Kindle store was a nice treat this holiday season after months of unresolved issues that are, thankfully, behind us. Looking ahead, to the new year, I've got a full plate. I've got to turn in the last Dogsland Book soon, and it's ready. A little paperwork, and then the editing begins. I'm shopping around a steampunk novel that is about as much like a steampunk novel as Last Dragon is a fantasy quest novel and Dogsland are urban fantasies. It is a very strange, little book, and I seek a home for it, now, that celebrates that strangeness. Time will tell when one could see it. I'm currently scribbling away on the next Abyss novella. My working title is "Garden of the Dead" and it is a riff on a throwaway character in Athans' novella, "Devils of the Endless Deep" that will attempt to bring in a few other characters that appeared and disappeared in some of the short stories. Do not expect this title to remain, but it does involve gardening, and the importance of gardening in a world without either grocery stores or meaningful wildernesses spaces wherein one could hunt and forage. I would expect a world like the Abyss would be a place where calorie-dense bio-intensive gardening is a means of survival for all sorts of different races of creature and thing. I've got a very rough draft done of an epic fantasy novel that's inspired by American Westerns. Once the dough has a chance to rest and rise again in my subconscious, I will return to it and try to turn it into something. It's not ready. "Western Imperial" is what I'm calling it, for now. Let it rest a while, and maybe it will be ready to touch again in the spring. I've also got about half of a science fiction mosaic novel trundling along in my hard drive. No one has seen these little stories, yet, and I won't send any out until I get through the whole gesture. 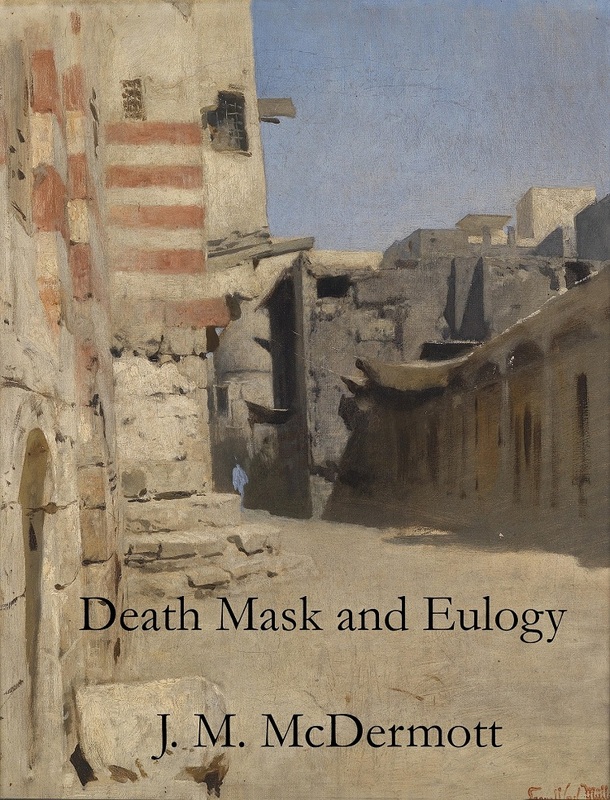 I mentioned this one a little in my interview with Sanford Allen, if only because he's seen a few of these early gestures of a book through a group of local writers, but it's not there, yet. It's growing. Time moves on. The thing to do is to keep working. Just keep working. Everything that can happen to creative careers will happen, with ups and downs and all sorts of crazy in-betweens, but no matter what, just keep working. I am going to get back to work. Have a Happy Holiday Season, everyone, and be well. Today is my birthday. I'm 33. I had to get out a calculator to check because I wasn't sure how old I was, but now I know. So, that's as good a reason as any to purchase a book by me, for whatever reason, because it sends just a little good will my way. Some of the eBooks are wicked cheap, too. For a while there, some of my stuff disappeared from Kindle and seemed to be gone forever. Recently the issues have fixed themselves, it seems, so that's nice. Kindle Readers can pick up my work on Amazon eReading devices again. Most titles with Apex or Nightshade were unaffected, and I don't think hardly anyone but me even noticed the impact on Bad Ducky Industries of the issues that were being resolved. But, it's fixed. It's back. Expect titles to return. Three of them are already up. 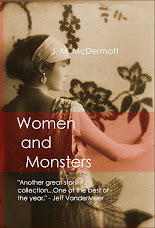 Watch for WOMEN AND MONSTERS, DEATH MASK AND EULOGY, and WE WERE FISH. Reading through a seed catalog it was mentioned that it is getting difficult to find even remote growers who can supply non-GMO corn seeds. Monsanto is everywhere. I've been thinking about how to effectively end them, though. The activists, I think, are going about it all wrong. Instead of trying to conquer Monsanto by open, honest activism, they ought to be using the same backroom, corrupt practices that drives the operation in the free market. If every anti-Monsanto organization bought up shares of Monsanto, how much would it take to reach a controlling share? In this, dividends earned from the company can become the engine of destruction, as those dividends are used to buy up more shares. If about half a million dollars were generated, across all the shells and activist organizations, a pretty large share of the company could be owned. Heck, there are people in this world who could buy Monsanto outright without even a wince on their balance sheets. Once a controlling share is created, destruction begins. Liquidate everything but the patent on the genomes. Hoard that. Never, ever sell that, or donate that, or anything. Just let them sit in a box in the imaginary world where unused intellectual property waits out the laws. If rich men and women really wanted to save the world, this would be one way. It would be easier than getting a law passed, and cheaper, most likely. Is it any surprise that I am a compulsive buyer of plants? They look so pretty, and they are alive - a living thing - that clean the air, that do all sorts of wonderful things from fruiting and flowering to pushing pelmel over the side of a pot. I sugar-crashed the other day, and in my post-pumpkin-cinnamon-roll misery, I purchased plants. Boxwood basils, to sit near the front of the door, to grow and blossom. Fresh basil is a wonderful thing. That part of the porch is not yet overgrown. Truly, we have not been here long enough to overgrow anything. All that is overgrown was like that before we got here. How much easier it must be to co-author with someone, and let someone else take the first steps, and to hand it off when it gets hard. In books, I do not compulsively buy plants. In fact, I would push any such instance of starting from plant away from me, and I would only start from seed. In books, I am not compulsive. I am slow, methodical, and tedious. I am a boring, boring person most of the time, building up plants from seed a little cell at a time, a little root and leaf at a time. In life, there is the easy way where you buy plants, and there are times when one should buy plants because fruit trees do take a long time and they are inconsistent when they don't come from a graft. But, most of the time, start from seed. I've stretched this metaphor enough for one day. But, when I get depressed about writing I fantasize about co-authoring something. Then, the day turns over and it occurs to me that I would prefer not. I would prefer to do the hard stuff myself. In fact, it is the hard stuff, and the miserable waiting period when the hard stuff is working out that I think I like the most. If it's too easy, I lose momentum. Oh, and as for the cinnamon rolls, I took half of a roasted pumpkin in a food processor with a cup of dark brown sugar, pinch of salt, and yeast. I added white whole wheat flour until I had a good dough (about 5-6 cups). I let it rise. Then, I rolled it out flat, brushed it with butter, and sprinkled with pumpkin pie spice blend. Rolled up and cut into rolls, I let them rise for an hour before baking at 350 degrees for about twenty to thirty minutes, until the tops were brown and crusty. Serve with butter and honey. Also, for a sweeter tooth than mine, include brown sugar with the pumpkin pie spice. I'd have added golden raisins if we had any handy. If only writing books could be explained in a recipe as simply as pumpkin cinnamon rolls. Leave the lights on tonight. There are old, evil things. They're pushing against the glass when you turn your back. They want to follow you home. The technology to build a rocket is as old as the technology to build a car. People build cars in their garage. Why don't people build rockets in their garage? Why haven't home hobbyists shot so many rockets to Mars that N.A.S.A. has to dodge them? If you have the tools and the know-how to build a car, build a rocket. Make your moonshot. Make your place on the face of the red planet. Make something. That is all. Take a Picture, or The Dog Days of Summer Dogsland Giveaway! I will be giving away books and eBooks during the month of August. I'm doing this for a reason. 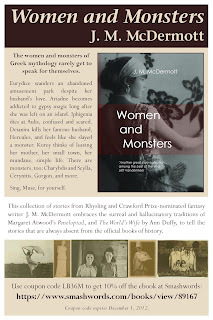 It looks like the third Dogsland book is happening, and I want to make sure that as many people as possible pick up a copy of the first two and get themselves ready for #3, and I want to encourage people to pick up copies of DISINTEGRATION VISIONS, and LAST DRAGON, and WOMEN AND MONSTERS, and TALES FROM THE FATHOMLESS ABYSS, and DEATH MASK AND EULOGY. I want to encourage people to buy a book by me. So, starting on Wednesday, August 1, 2012, and through the month of August (*cough* which ends with my wedding on September 1st *cough*) I want to give one physical copy of a signed book away every Friday, and copious eBooks. Here's what I need you to do. Buy a book by me, or check it out from a library. A physical, hard-copy book. Show me that you bought the book by showing me a picture of you holding that book on Facebook, Twitter, FlickR, or anywhere public. I desire a public display of the book, you see. I want you to hold it where other people can see you holding it, and other people can ask you what the heck that was all about, and if the book was any good. Post your picture to my Facebook Wall. Put it up on FlickR and link it to me in the comments here. Put the book up, with you holding it, so that others can see that you are holding it. My Facebook Wall is a great place to do that. 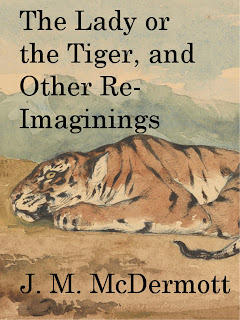 https://www.facebook.com/pages/J-M-McDermott/171081699600498 Twitter is a great place to do that @jmmcdermott. If you've already bought the book, you've already got a leg up in this little adventure, don't you? All you have left is to pose for a photograph! This Friday, and every Friday until the end of the month, I will randomly select one of the photographs to receive an autographed copy of either NEVER KNEW ANOTHER or WHEN WE WERE EXECUTIONERS. Go forth. Take a picture. Show me the picture. Etc. The Dog Days of Summer are upon us. Dogsland is upon me, and maybe you. 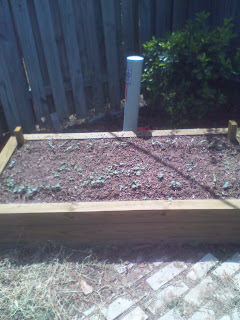 ETA: Seedlings coming up below! Corruption, when it is done well, happens so quietly we don't even know we're being abused. In fact, the bribers and the bribees in this situation and many others all believed they were behaving quite honorably, because this was the way things are done, and the way everyone on their side of the table reaped the most rewards. There are people looking into things, and they are finding things, and the things they find happening are very bad things, indeed, and I am sure this story is only the tip of the iceberg of corruption that will be unraveled in the days to come, if our economy continues to drag and we keep demanding the blood of bankers to blame. I was reading a book about the trade of agricultural staples across the oceans of history on the one hand, and the first-person accounts of British voyages to new places and territories on the other. It is hard not to read Taibbi's piece without Empire on the mind. It is an imperial way of thinking, that if the territories do not know what they do not have then we can go ahead and take it from them. It is an imperial way of behaving, to skim and pad and schmooze in such a fashion, and harm the natives who are perceived as part of a different category of being from the brave British captains, sailors, and cabin boys whose accounts of adventure are being transcribed. The people involved, from New York do not view the people of Oakland as human on quite the same level as they see the other people in the financial services industry, who were all such smart people and good students and go-getters and whatnot, compared to those lazy schlubs in municipal government service, you see. That is the way empire thinks. Take what we can from the natives of that foreign country who has fallen under our thumb, for we are the enlightened ones who bring great gifts and they should be grateful we have brought our expertise to their shores, at all. The Taibbi piece is also hinting at a pattern reminiscent to the flour riots of France, and most of the peasant revolutions of history. For, when there is plenty, corruption flourishes and takes root unchecked by the population that would rather be busy with their own plenty and not fighting anyone over such scraps, until such time as there is no longer plenty and peasants seek out the reasons for their lack of food in the waste generated by systemic corruption. New leaders must be installed, forthwith, and new laws! Hear-Hear! Revolutions in history overthrew corruption in times of scarcity, like we have right now. Naturally, what immediately followed was temporary reforms that, once entrenched, commenced to re-institute or at least not disallow the return of corruption in times of plenty. In times of plenty, when there is enough food and the harvests are good, the peasants don't riot over a little corruption. It becomes common-place. It becomes the way things get done in the society. It becomes so natural, business leaders discuss their clear and present corruption even when they know they are being recorded, because it has been happening for decades. Presidential elections, even today, seem to be about our daily bread. Do we have enough bread? Let him stay in power! Do we need more bread? Throw the bum out! Presumably, and particularly after a certain Supreme Court case was decided, no source of political power is free of the corruption that drags on the coat tails of public policy. It seems to be the natural cycle of corruption, as old as the riots of the ancient world. This is part of the natural life-cycle of all empires, and the language of empire is all over these men. My warning then, to all lefty and libertarian-leaning voters, is to take heed that political power of any group, maintained too long, will only lead to more and greater levels of corruption. Ergo, it is best not to attach our political identities too much to any one faction. Hopefully, before the corruption comes in our preferred faction of the moment, there will be a time of great plenty to withstand the drag on the economy of corruption that is as inevitable as death and taxes. At such time, we might be best to switch allegiances around to favor not the incumbent boss leaders, but the reformers who will make great promises - and might even pass a few decent laws - before these reformers, too, suffer the inevitable end of all politicians in the complex ecosystem of human political power. Corruption is bad. It's a theft we don't even see, and it happens all the time, in a myriad ways, based around the political influence and power of men and women who feel safe behind their wall of SuperPAC donation-receipts. Speaking of which, I am blogging a long-ish thing today, but I have not been blogging regularly. You see, I am more interested in being a great novelist, and husband, than I am in being a great blogger. I expect this trend to continue as I begin the steps necessary to relocate to a new state, and a wedding in September, and etc. Even if I had time to blog more, I am finding the form less and less interesting, as a writer and as a reader. I prefer only to come here when I believe I can contribute something I find interesting, and I have no desire to force a number of blog posts per day/week just to meet some artificial goal of on-line activity that doesn't actually do much to aid in the marketing of books, or in my general happiness. I am not leaving, but I am also generally disinterested in planning or posting with anything resembling regularity. More blogging will happen or it will not. In the mean time, I am packing to move, and planning our wedding, etc. Devils of the Endless Deep is the first follow-up to the anthology Tales From The Fathomless Abyss. When the Fathomless Abyss opens onto an unsuspecting world, the Smog that chokes its upper regions is released. And with the Smog come the Tabagie—raiders and scavengers from thousands of different worlds and thousands of different epochs. 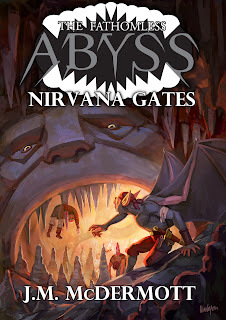 The Tabagie get what they can, while they can, then the Abyss closes again, and no one knows how long it will be before it opens again. When the Abyss opened on Earth in 1986, Keegan O’Malley fell in, and Guillermo Cordova floated out. Keegan is left trying to adapt to a strange new world populated by a mix of aliens from the far-flung reaches of the universe and humans from both his past and his future. And Guillermo, a 16th Century Spanish Conquistador, will have to make his way in a future world that’s no less alien. But Guillermo knows something Keegan doesn’t. He knows when and where the Fathomless Abyss will open next. Philip Athans, the New York Times best-selling author of Annihilation, leads a team of fantasy and science fiction veterans into a bizarre new world, and a fascinating new project: a shared world series as exotic and expansive as the infinite Abyss. 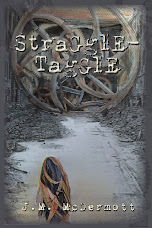 Phil Athans' is the first novella to come in this strange, underground place. Mine will be coming soon to eReaders near you. Soon my own, strange letter will rise up from the depths, where an ancient god sends out his profits to bring back new acolytes in a novella also dedicated to the Tabagie at the cap, in perhaps a harder time with fewer open caps to belch out smog. Anyway, greetings from the depths! Do come visit soon! Tourist visas range anywhere from 99cents to 2.99, so there's really no excuses on your part not to come on down!